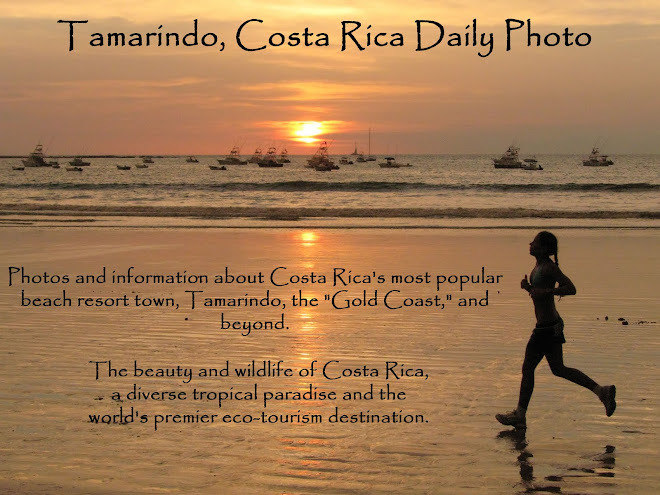 Any stroll on Tamarindo beach provides opportunities to observe and assess surfers. This surfer appears to be a beginner, as he is riding a small wave near the shore. Proof positive of his novice status will be shown tomorrow. This is not a criticism, of course, as I do not surf at all, and this man looks like he is quite enjoying himself. This week we have photos of Lake Nicaragua posted on our Viva la Voyage travel photo site. Yup....that is a look of pure joy! what fun! that water looks inviting to all of us Arizona folk right now. It feels hot to me, even at 5000 feet. It's been in the high 90's for the last few days. Enjoyment should be the primary consideration! I would be minus novice, having no talent for any sport whatever. Better to take photographs.